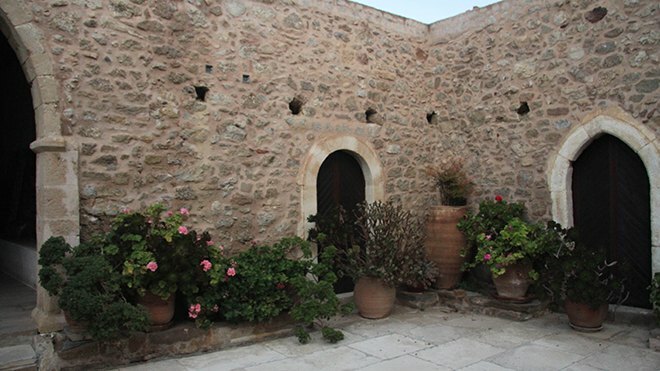 The Toplou Monastery is historical and dates back to its inception in the 15th century. Collapsed by an earthquake in 1612 and was rebuilt with the financial assistance of the Venetians. 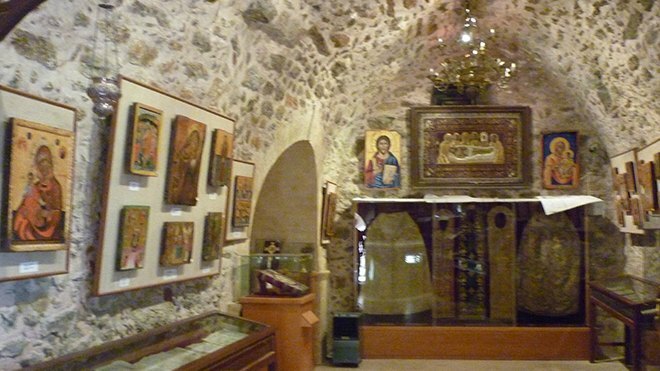 The Toplou Monastery is historical and dates back to its inception in the 15th century. Collapsed by an earthquake in 1612 and was rebuilt with the financial assistance of the Venetians. Destroyed and depopulated from the Turks after the conquest of Crete. Converted into Moni Stavropigiaki, monastery in 1704. Throughout the period of the Turkish occupation worked in one school, while after 1870 it was founded there a school of mutual teaching. The Monastery is its fortress Moni Stavropigiaki, monastery. The main building, 800sq. m , is three-story and includes cells, hostels, galleys was constructed together with prior’s apartment, warehouses. The general ledger is double transept, with the northern transept dedicated to Mary and the south transept later in ΄St John the Theologian. Characteristic is the belfry of the monastery, which bears embossed crown and crosses with inscriptions, dated 1558. Operates as a single, while there is interest Museum. - Holy Athanasios, Kirill and Agios Ioannis Elaimon, 17TH century. Portable image. The katholikon of St. Francis monastery was one of the greatest temples of Venetian Candia. When Candia fell to the Turks in 1669, the temple was converted into an imperial mosque dedicated to Muhammad the Conqueror, the conqueror of Constantinople.